The 1960’s, it was a different time and mindset, especially for the boys of that era. Lead soldiers, model aeroplanes, bikes and homemade go karts where the go to toys, girls played house, fed baby dolls and went crazy for the 1959 release of Mattels Barbie, a grown up doll that wasn’t chained to the kitchen sink, the audacity of it all. Hasbro, who’s claim to fame was having the first TV toy commercial for their hugely popular Mr Potato head needed something new. 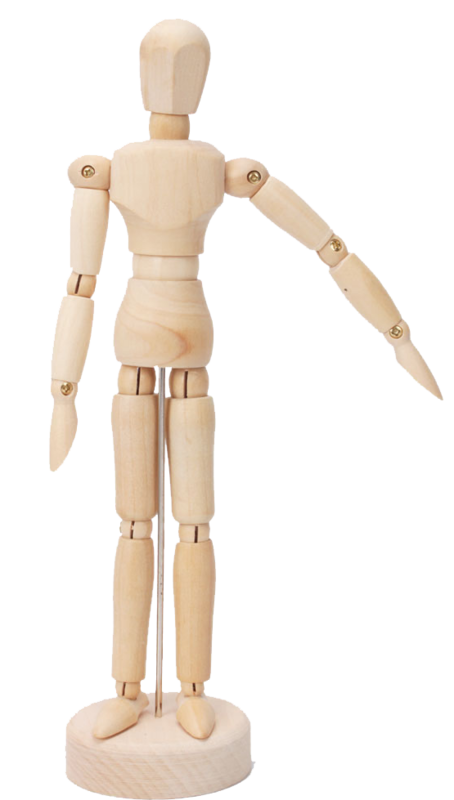 That ‘something new’ came to Creator Don Levine after spotting a wooden artists mannequin in a store window, he purchased a dozen and the basic concept was created, a 12″ posable doll for boys…… whoa, hang on there, DOLL!… yes Hasbro knew that the ‘D’ word could never be used especially in the marketing, no boy will buy a Doll. The generic term ‘Action Figure’ was used and stuck. 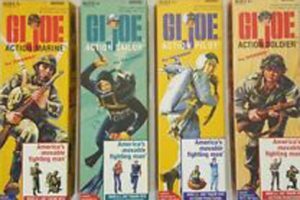 Palitoy a small but successful toy company based in Coalville, Leicester, purchased the rights to Distribute GI Joe in the UK after a recent visit to the States. 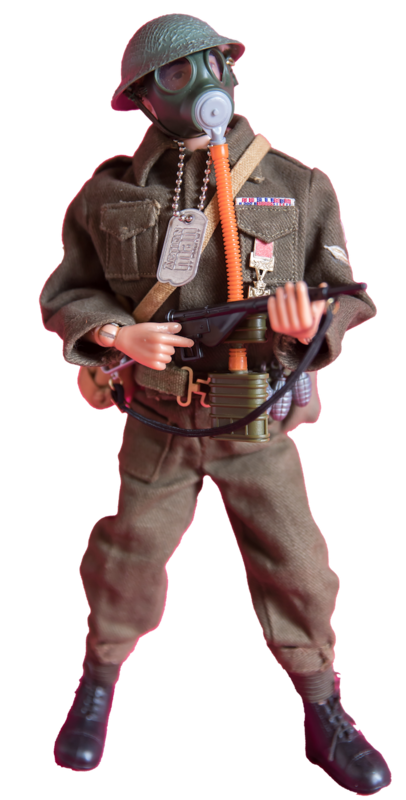 Palitoy not wanting an American invasion re-branded the Product as ‘Action Man’ and was launched on the 30th January 1966 at the British Toy Manufactures Association toy fair in Brighton. 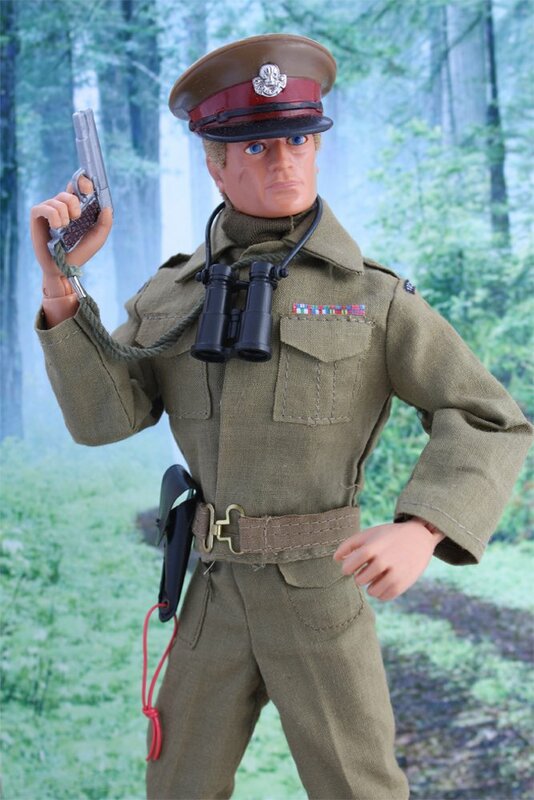 Action Man was an instant success and orders flooded in, Canadian GI Joes were imported and repackaged to fulfil orders whilst the Palitoy factory tooled up in preparation to what would turn into an 18 year campaign on the UK Toy Market, back gardens all across the UK would soon be the new theatres of war and scenes of Adventure for the children of the late 60’s 70’s and early 80’s and this man of Action would imprint on the psyche of that youth of yesteryear, so much so that they would return again as adults to hunt him out, but this time as collectors. For the first two years of production Palitoy only released what Hasbro had produced for GI Joe, simply renamed for the UK Market, the only noticeable difference was with the Soldiers of the Century range, this line up in the States was called Soldiers of the World and included 6 Uniforms: The British Infantry man, Russian Soldier, French Resistance Fighter, Australian Jungle Fighter, German Stormtrooper and Japanese Soldier. 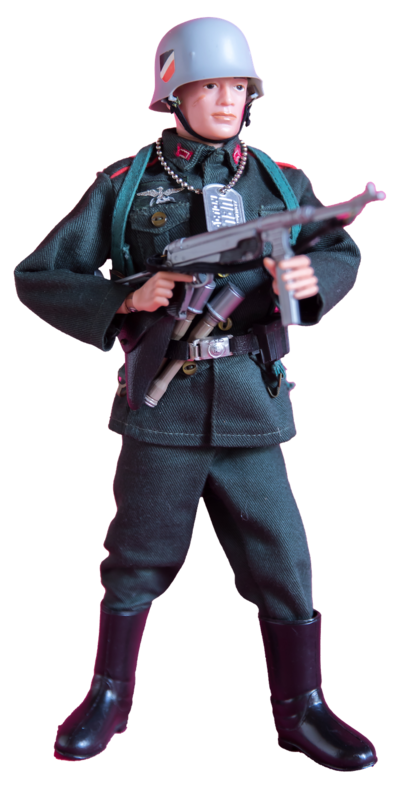 Palitoy in their wisdom felt having the Japanese represented would not be a smart move for the UK market, so this outfit was dropped and the American Green Beret replaced it. In 1970 after the Action Man Brand was a proven success Palitoy felt the time was right to start to introduce British uniforms, a boxed Soldier, Sailor and non military adventurer and Sportsman all with realistic hair replaced the old painted head lineup, a talking commander was also issued in 1970 but this was still based on the GI Joe Version, a British version would not be introduced until 1973. 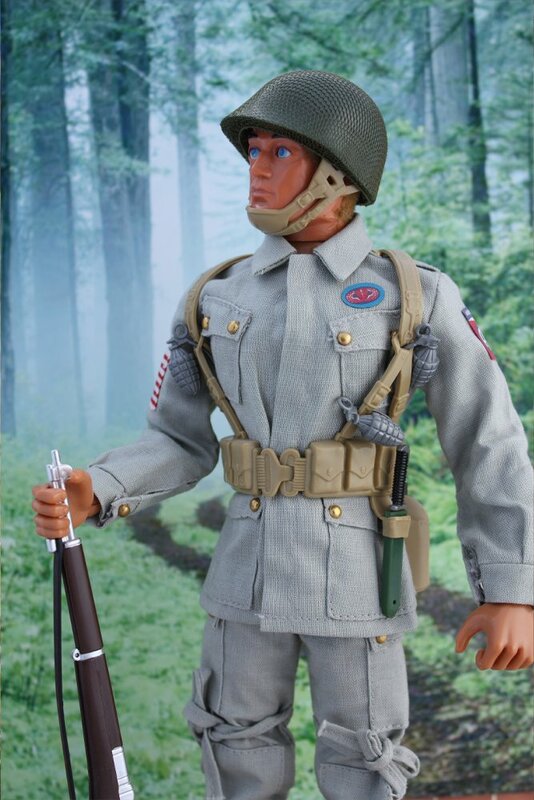 The 1970-1976 period of Action Man is classed as the golden era for collectors with some of the most beautifully designed and detailed uniforms ever to be produced in 1/6 scale. Check out our 1970-1976 section and view some for yourself. The now older painted head line of figures had been dropped from the lineup, but some of the carded uniforms did continue to run throughout the 70’s and even throughout the 80’s with some minor alterations along the way. in 1975 Palitoy won the Golden Award from the National Association of Toy Retailers and that sticker would appear on the boxed figures of that period, they would go on and win the ‘Toy of the Decade’ Award in 1980 with the medal then printed on the box art. It would seem Action Man was unstoppable as he entered the 77-84 period and in fact he was, Eagle Eyes a Hasbro invention was adopted by Action Man in 1977, moulds at the Coalville Factory were due to be replaced and production cost was high for Action Man especially as smaller figures were hitting the market with huge success due to the introduction of Star Wars. Action Man was always a high end toy in terms of cost. Palitoy developed a new body type that was cheaper to produce and would eliminate the metal rivets thus making it easier on the eye. Action Mans Dynamic Physique was introduced in 1979 and would be the last innovation Action Man would receive. Uniforms also went through a big change, new uniforms were introduced although the quality was not on par with the earlier incarnations, however this did give them scope to make more accurate uniforms and the introduction of fabric stickers made the uniforms even more realistic, the tired but still hugely popular German Stormtrooper got a much needed upgrade and the British Major, Royal Hussar and Battle of Britain pilot certainly made up for any quality loss. Palitoy also saw the trend shift from historical uniforms to Sci Fi. Star Wars helped kick start the once dead Science Fiction Genre and Palitoys response was the Space Rangers, now Action Man was defending the galaxy from the Evil Captain Zargon and his Space Pirates. Palitoy was riding a high, sales were still strong and preparation for a whole new Action Man line began in 1983, The Wolf Pack range of uniforms would be more futuristic/fantasy military based and prototypes were busy being produced in preparation for the January 1984 Toy Fair, Sales forecasts were sent to General Mills the now owner of Palitoy….. Word came back from head office and it was not good news. 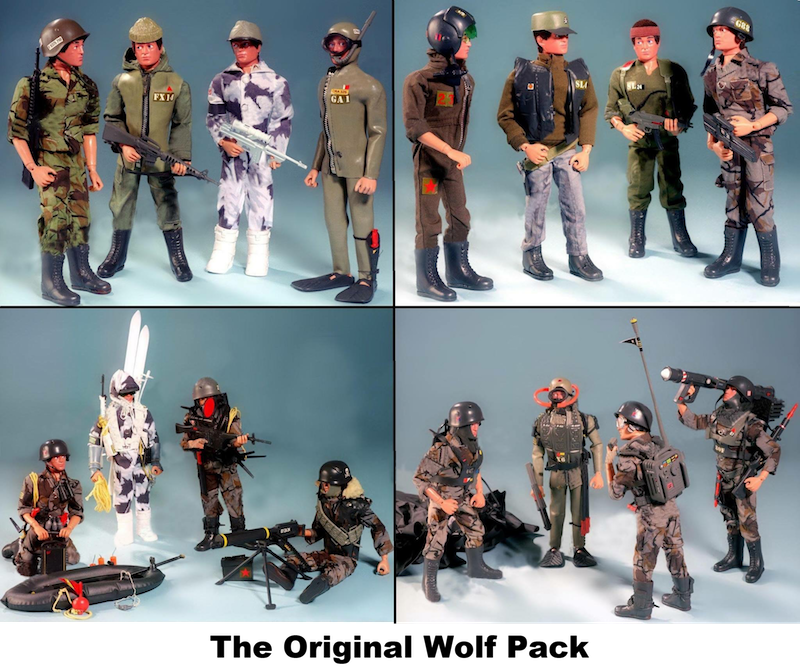 They did not share Palitoys enthusiasm or beliefs that sales would reach what Palitoy had predicted, they pulled the plug on the Action Man line and orders were issued that all stock held had to be sold off and all tooling be destroyed. Action Man was decommissioned and retired from active service. Britains best loved toy would fall into the pages of history…. many ended up in landfills, many put in attics and sheds, the Action Man name stayed in the publics memory, some never noticed his absence, some mourned it…. boys become young men, young men became middle aged and the impression that Action Man had made on them resurfaced. browsing eBay, rediscovered at a car boot sale or a recent attic clearing…. over 50 years later and many of these littles soldiers and adventures had survived and are highly sought after. A whole community had sprung up and anniversary issues were made available, first by Hasbro for the 30th anniversary, then Modellers loft for the 40th and Arts & Science for the 50th and the infamous Wolf pack that never saw light of day? well that is being produced as a unofficial boxed figure by us The Vintage Action Man Collectors as we celebrate and give thanks to that one toy that helped shape and change our young lives. Action Man, The Action Continues….